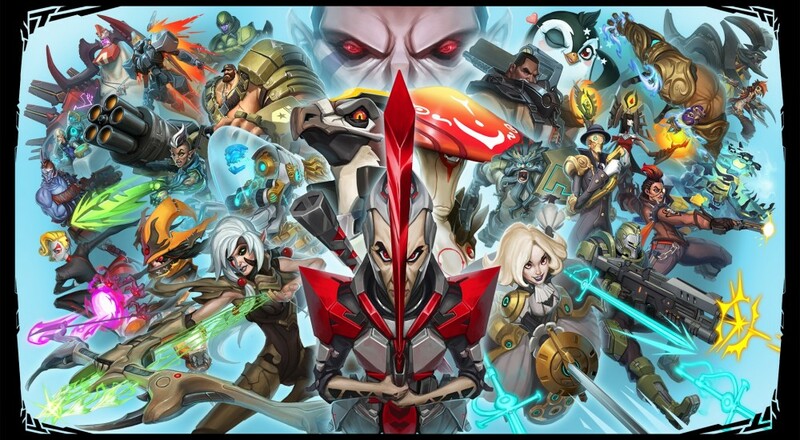 Last week, 2K discussed their post-launch content and support plans for Battleborn. As a part of that, they mentioned that there would be an open beta for the title on PlayStation 4 at some point. Well, we won't have too long to wait. The open beta will be coming on April 8. Revealed on the PlayStation Blog, the announcement also revealed some special rewards you'll get for participating. First of these will be the new character, Alani, the moment she becomes available. This character will be released for free to everyone, but players that don't participate in the beta will have to unlock her once she does become available, and it's not known what that "unlocking" means. So this could save you some time? The second reward is getting the first DLC pack for free instead of the $4.99 they'll cost when released. This perk is a bit nicer as all DLC packs will add a new story mission (where you'll fight A.I. enemies and bosses with your friends) and new customization options for some of the heroes. The open beta starts at 10:00 AM Pacific/1:00 PM Eastern on April 8 and runs until 7:00 AM Pacific/10:00 AM Eastern on April 18. You can pre-load the beta from the PSN store starting at 5:00 PM Pacific/8:00 PM Eastern on April 6. As one final piece of good news, a PS Plus account is not required to participate in this beta; it'll be open to all PlayStation 4 owners. So hop in, team up with some of your badass friends, and get to shooting stuff!